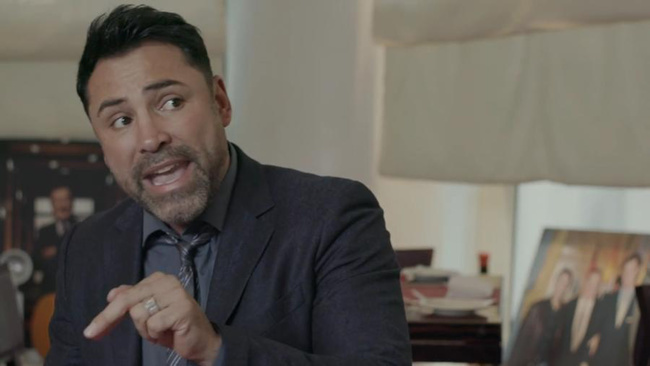 The Golden Boy Speaks: Oscar De La Hoya on Alvarez-Cotto and Boxing's "New Age"
Then I saw him, in a smaller back room, with the same smile I recalled from his post-fight interviews. He was wearing his trademark dark shirt and dark skinny suit—he's partial to designer John Varvatos)—with neatly trimmed graying hair. I introduced myself and apologized. 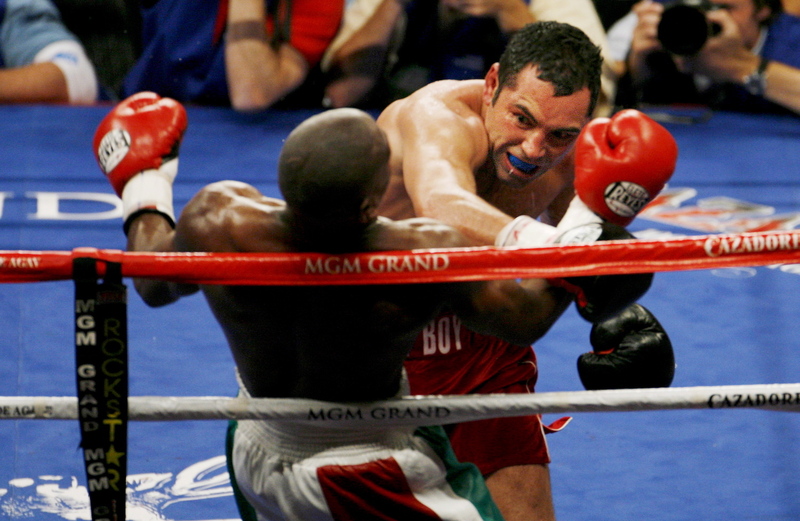 It's being billed as yet another war between a Puerto Rican and a Mexican in a long-standing blood rivalry—an easy narrative crutch writers and broadcasters lean on at times for lack of ingenuity (though the story line usually fits). 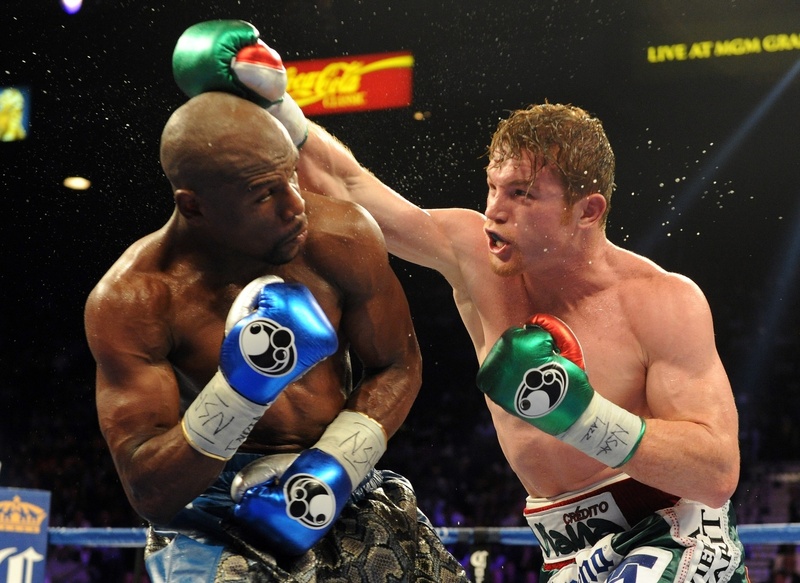 Yet one more battle between the gritty veteran—Cotto is 35—and the hungry kid who won't defer to legends any longer—Canelo is 25. 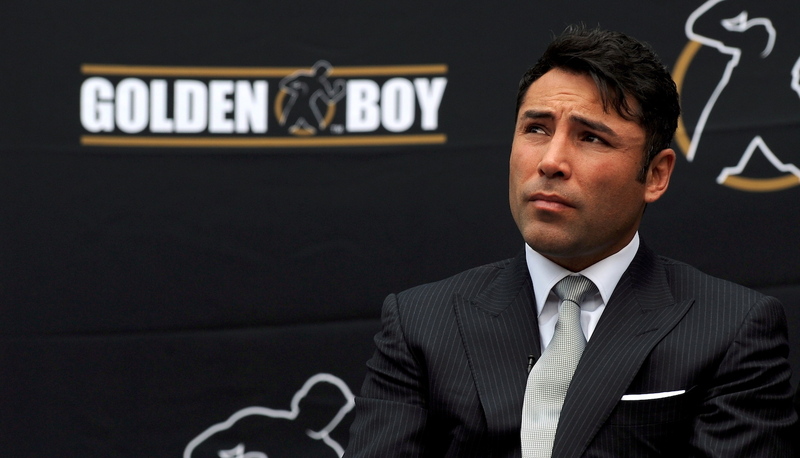 A Look at Oscar De La Hoya's Damning Letter to Floyd Mayweather Jr.